While blockchain can and already has had a strong impact on P2P lending and other forms of financing, it still must answer the questions that traditional models currently are unable to solve. The financial crisis of 2008 was widespread enough to cause massive reverberations in the banking world for years to come. Once the dust settled, regulators and businesses went about the process of creating a more transparent financial system, one that would avoid some of the pitfalls that led to the mortgage crisis. New laws were enacted that improved transparency, and opened the doors for smaller, tech-driven companies to compete with institutional lenders and financiers without requiring the same infrastructure overheads. Peer-to-peer lending has quickly emerged as a popular destination for prospective borrowers who are unlikely to be approved by banks, and the model has proven successful. Now, however, new technological innovations could lead to even further disruption in the field. Blockchain, the backbone of most cryptocurrencies, has left a major impact in several industries, and lending has already reaped the rewards. With the technology’s many benefits, P2P lending offers a more democratic and even further advantageous platform for individual borrowers. More often, consumers are eschewing the traditional means of finding financing in favor of convenience and simplicity. Regulations introduced following the end of the financial crisis allowed for the creation of new lending institutions that operated free of banks’ bureaucracy and gate-keeping. One of the most popular offshoots of this newly emerging field was peer-to-peer (P2P) lending. Apart from democratizing the funding process, peer lending lets regular consumers borrow and lend to others without a middleman, usually on platforms that deploy technology to determine creditworthiness and other factors pertaining to a borrower’s repayment ability. This new, more democratic approach, has already shown tremendous potential, and the industry has quickly expanded to include major names, as well as a constant stream of startups and smaller lending platforms. However, despite their degree of openness, most traditional P2P lenders still suffer from some serious limitations, mostly owing to the way they handle data storage and verification on centralized servers. This might not seem like a big issue, but centralization is inherently a risky proposition involving serious security vulnerabilities, creating bigger targets for hackers and reducing overall transparency. Additionally, P2P lending, while billed as fully democratic, remains tied down to existing conventions in the finance industry. For one, despite their accessibility, most P2P lenders still maintain some barriers to entry, either through minimum credit and financial requirements, or simply through a high cost for many users who cannot find financing without indebting themselves further. Moreover, these loans tend to have much higher rates in some cases, and can be extended for lower sums than requested or with prohibitively high fees. 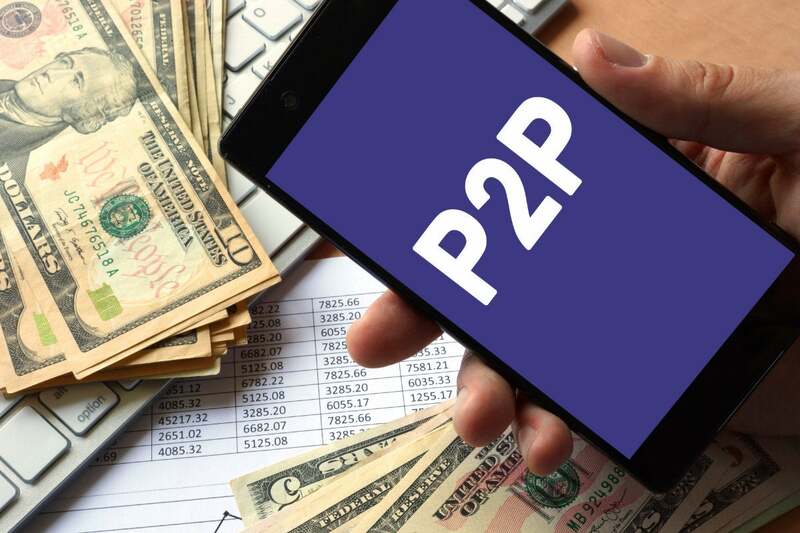 Nevertheless, P2P lending has shown true potential, and combining it with emerging technologies could push it even further to success. Blockchain has been touted as a game changer for many industries. The technology—which is also the backbone for most cryptocurrencies—offers several natural advantages over existing platforms. For one, it runs on a decentralized network that reduces the risk of hacks and other cyber-attacks as information is distributed. It also offers a more transparent approach to transactions thanks to its decentralized ledger, which keeps track of every verified and processed transactions simultaneously across every node in the network. For lending platforms, blockchain provides a way to distance themselves even further from the status quo. Embracing a decentralized approach gives added power to lenders and borrowers, encouraging individuals to eliminate third parties and agree on terms directly. More importantly, it removes many of the barriers to funding many people have, whether from weak credit scores or a lack of credit history. Another major benefit blockchain offers P2P lending is its ledger. Whereas traditional P2P lenders must deal with the overheads of keeping up with complex transaction histories and interactions between users, applications built on blockchain do this automatically. The distributed public ledger employed by Ethereum and its contemporaries creates an unalterable, permanent record of every single transaction performed, and does so autonomously and instantly. This offers lenders a huge reduction in their overheads, removing the need for complex data keeping. For users, the benefits are also easy to notice. Borrowers have an easier pathway to find funding. Those looking to roll all their existing obligations into a debt consolidation loan can potentially find an attractive solution that fits their needs better than a traditional loan. It also enables borrowers to access funding by using a different type of collateral—cryptocurrencies. New blockchain-based solutions allow users to apply for fiat funding by leveraging their existing Ethereum or bitcoin holdings without having to liquidate or sell them, thereby squandering their future potential. Blockchain has already revolutionized several industries and lending is no exception. The industry, which had been characterized by gatekeepers, absurd barriers to entry, and a decidedly pro-business leaning, is quickly changing. The introduction of new regulations allowed for creative entrepreneurs to disrupt the status quo, and blockchain has served as a major catalyst for the next leg of innovation. Lending remains a tricky field even with the addition of new technology. While blockchain can and already has had a strong impact on P2P lending and other forms of financing, it still must answer the questions that traditional models currently are unable to solve. If it can accomplish this feat, borrowers and lenders alike should reap the benefits of a more agile and transparent way to uncover affordable financing whenever needed.